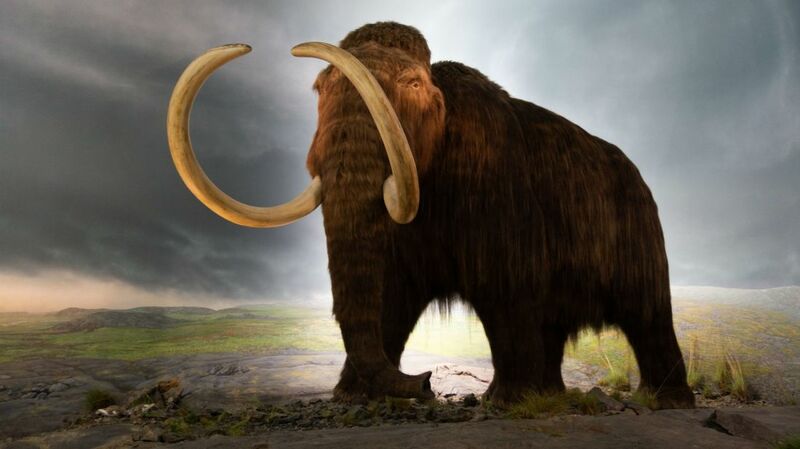 Dinosaurs weren’t the only fearsome creatures who called North America their home millions of years ago. 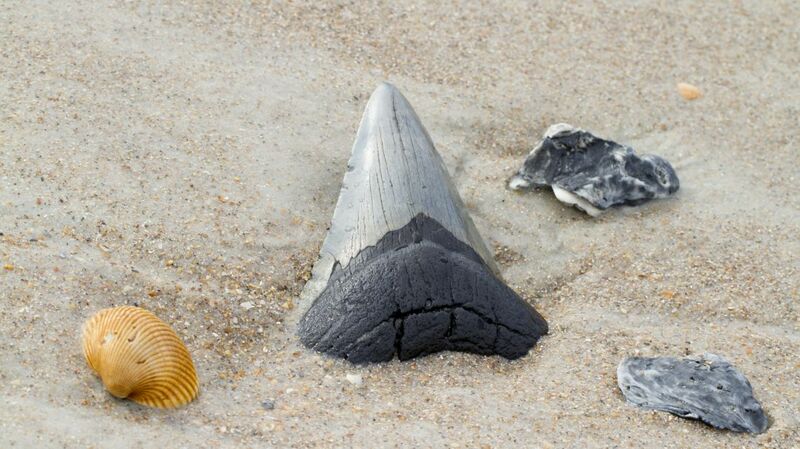 The recent discovery of pointy, fossilized teeth in rock that had been left over from an excavation in the ‘90s has led scientists to declare a new—yet long-extinct—shark species, Smithsonian reports. North Carolina State University professor Terry Gates, who led the study published in the Journal of Paleontology, named the shark species Galagadon nordquistae after its triangular teeth, which he thought resembled the shape of the battleships in the video game Galaga. The second part of the name pays homage to Karen Nordquist, the retired chemist and volunteer at Chicago’s Field Museum who found the fossils in the first place. Galagadon lived in what we now know as South Dakota’s Hell Creek Formation, an area known for having rocks and fossils that date back at least 65 million years to the Cretaceous Period. It’s the same place where scientists unearthed Sue the T.rex—the most complete skeleton of its species ever discovered. 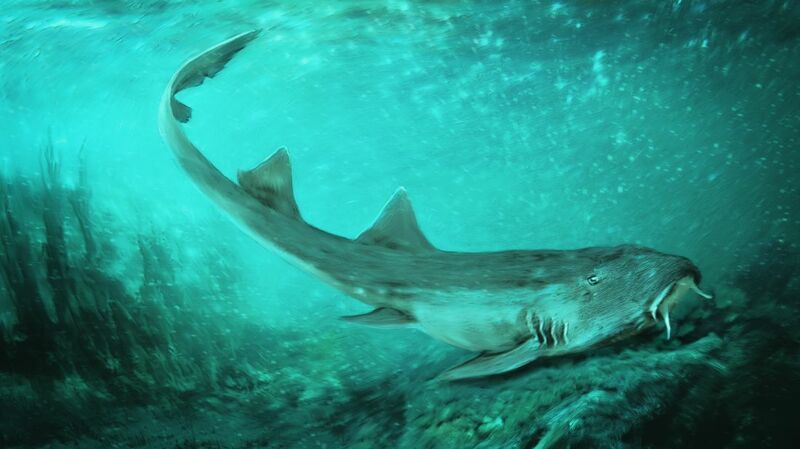 Not only did the shark live at the same time as Sue, but it also “lived in a river Sue probably drank from,” the Field Museum, where Sue can be seen on display, said in a press release. In fact, the excavation that led to Sue’s discovery in 1990 is what enabled this latest find. The sediment that encased Sue’s bones, known as matrix, was removed and stored in an underground unit at the Field Museum. Scientists and museum volunteers have only recently begun to sift through it in search of smaller fossils. Sharks’ skeletons are primarily made of cartilage, which deteriorates over time. But the tiny teeth, measuring just a millimeter wide, helped scientists figure out what the shark looked like. "Galagadon was less than 2 feet long—it's not exactly Jaws," Pete Makovicky, one of the study’s authors, said in a statement. The species is believed to be similar to bamboo sharks, which can be found today in southeast Asia and Australia. This connection surprised researchers, who are now questioning their understanding of the area where Sue was found, which was thought to be a lake formed from a partially dried-up river. This latest discovery, however, indicates that there “must have been at least some connection to marine environments," Makovicky says.